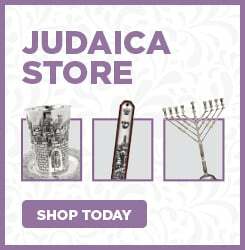 WHAT IS FIRST FRIDAYS AT CHABAD? WHO IS FIRST FRIDAYS DESIGNED FOR? WHY IS FIRST FRIDAYS FREE? HOW CAN I DONATE OR SPONSOR FIRST FRIDAYS? HOW CAN I HELP FOR FIRST FRIDAYS? WHAT CAN I BRING TO FIRST FRIDAYS? WHY DON'T YOU DO POTLUCK FOR FIRST FRIDAYS? WHAT IS THE DRESS CODE FOR FIRST FRIDAYS? WHAT KIND OF MEAL CAN I EXPECT AT FIRST FRIDAYS? CAN I SHARE/LEAD AT FIRST FRIDAYS? WHAT KIND OF SERVICES ARE HELD AT FIRST FRIDAYS? IS CHILDCARE PROVIDED AT FIRST FRIDAYS? WHEN ARE FIRST FRIDAYS HELD? First Fridays at Chabad is a monthly community gathering to pray, schmooze, and enjoy time together. It's an opportunity to celebrate Shabbat, make new friends, see familiar faces and be part of the community. First Fridays is part synagogue, part home; part community, part individuals; part rituals, part socializing; part learning, part teaching; part adults, part children; part formal, part informal; part regular, part irregular - it's the synthesis of Jewish life all under one roof. Open to the entire Jewish community - young and old. Come always, come once - or whenever you can. Yes. First Fridays at Chabad are free of charge (donations accepted). However, registration is required because our committee and volunteers work hard to prepare an exquisite sit-down dinner. We want to make sure we have enough food for everyone. To register, please click the REGISTER link below the date you wish to attend on the First Fridays at Chabad page. (If you are only attending services and not staying for dinner, you do not need to register). You! If you are Jewish and wish to participate in Jewish life, this event is for you. First Fridays is not a simply a children's program. First Fridays is not merely an adult prayer service. Yet, First Fridays is for children. And First Fridays is for adults. It's for singles to mingle; for children to play and learn; for adults to sing and schmooze; for seniors to teach and enjoy; and for everyone to celebrate together. First Fridays is your opportunity to be part of the family. At Chabad we have a unique philosophy on Jewish community life. We don't embrace the members-only ideal. We don't charge membership to 'belong' to Chabad. That's because all Jews already belong to Chabad. It's your birthright. We believe every Jew - of any ethnicity, background and affiliation - deserves to experience Judaism at its fullest. To that end, we endeavor to make Judaism as accessible as possible, without the barriers of affiliation and membership. Nonetheless, we have yet to find a money tree in Chabad's backyard. And, we are not funded by Chabad Lubavitch headquarters in New York. Like any other nonprofit, we must raise every dollar for our organization. Mortgage, utilities, salaries, art supplies, food - all of it is raised by ourselves to support our activities in the community. Sometimes we charge for events, in order to cover the costs. Even for programs where we charge, we will never turn someone away for lack of finances. This program is offered for free in an effort to make Shabbat a communal family experience in which every Jew can participate. It costs a lot to cater food for everyone, prepare and clean up for First Fridays. We rely on generous donors to cover the costs. If you are able to donate, please do so. When registering for First Fridays, you have the option of donating to help cover the costs. Some suggested amounts are available, but you can choose to donate any amount, depending on your budget, people attending or any other consideration. Sponsorships are available starting at $180. Sponsors will be acknowledged at the event. Anonymous sponsors are also accepted. First Fridays at Chabad requires lots of volunteers for its success. The committee will be happy to have you help shop, cook, set up, clean, and more! Please contact the committee to volunteer. Additionally, when you come to First Fridays we ask of you to help with childcare, serving food, security, cleaning up, and leading the services. This is a communal family event! As part of the family, feel free to help out! Yourself. Your family. Your friends. A good appetite. A helping attitude. Please do not bring any food or drink. 1. 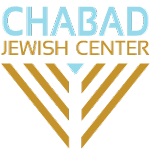 The Chabad Jewish Center is a strictly kosher facility. All foods served at Chabad must meet strict kosher standards. Therefore, we do not allow outside food. 2. Individuals may keep varying standards of kosher. In order to keep a uniform standard, all foodstuffs are prepared in-house. 3. At potluck events people may bring varying food types, with some more excessive than others. In order not to let anyone feel left out, inadequate or embarrassed, we do not promote potluck events. Once you walk through the doors - everyone is a VIP. There isn't a formal dress code at First Fridays at Chabad. However, it is Shabbat and we are participating in prayers to our Creator. We encourage respectful dress in honor of Shabbat and the prayers. Most people come in elegant or at least business casual attire. Jeans and a t-shirt, for example, are not recommended. But, no one will be turned away due to attire, unless it is simply inappropriate. In short, try to dress up for Shabbat. but, if you can't - come as is! First Fridays at Chabad is a sit-down meal experience. It will always feature Kiddush (on wine and grape juice), Challah, and a main course. Additionally, the menu may feature appetizer, soup, and dessert - depending on sponsorships, volunteers, date and menu. We try to be sensitive to all diet types. Generally, First Fridays will feature at least some vegetarian/vegan foods - enough to enjoy fully dinner! If you have a special request, please contact the First Fridays Committee. They will do their best to accommodate reasonable requests. We encourage individual involvement at First Fridays at Chabad. If you have a Dvar Torah, Jewish experience or song you would like to share, or if you would like to lead the services, please contact Rabbi Mendel Lifshitz. Services at First Fridays are for men, women and children. The user-friendly service includes Hebrew and English prayers, songs and readings. Transliteration is offered for some of the prayers. The Rabbi will offer a short Dvar Torah. The environment is welcoming and uplifting. Whether you read Hebrew proficiently or have never been to a Kabbalat Shabbat service - this experience is for you! A Children's Program will be held during services. This program is geared to children ages 3-10. Parents with younger children are encouraged to join with their infants and toddlers. Volunteers are needed to help with the Children's Program. We encourage older children to participate in the Kabbalat Shabbat service. Services are not only for adults! During dinner, children are encouraged to participate in the meal with their families. The playroom will be available for children, but there will not be a formal program. Parents and others are requested to supervise in the playroom when necessary, rotating as volunteers. Generally, registration will close on Sunday evening prior to First Fridays. This allows the committee and volunteers to adequately prepare, cook and set up for the expected attendees. Please respect the efforts of the volunteers and register before the deadline. Generally, First Fridays at Chabad are held on the first Friday evening in the secular calendar month. There may be exceptions, based on conflicting events, secular holidays, and Jewish festivals. For more information, to volunteer or donate, please contact the committee at 208.853.9200 or email.